A Family Savvy reader asked neurologist and Family Savvy contributor Dr. Robert Pearlman to weigh in on the connection between stress and migraine headaches in teens. 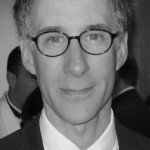 Dr. Pearlman’s answer sheds great light on the connection between the two. 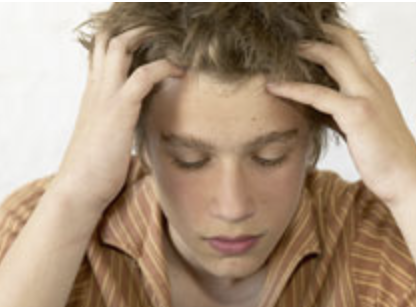 QUESTION: Dr. Bob, my teenager has been having migraines lately~one or two every month. He is under lots of stress with grades and sports; could this be causing his headaches? What should I do? As a father of five, I have watched teenagers closely and personally. They can be difficult as a parent to raise and even more difficult as a physician to treat. As a neurologist who treats teens with headaches, I have to be able to understand the world of todayâ€™s adolescents and at the same time be able to communicate effectively with their parents. Many contemporary challenges facing our youth have placed an inordinate stress on their ability to cope with our rapidly changing world. Todayâ€™s youth are immersed in social media and instant communication that was unheard of even a few years ago. There are many more stressors on kids today to achieve and to â€œfit in,â€ which further complicates their lives. In this hyper-charged, success oriented world, it can be challenging just to remain â€œnormal.” Consequently, more teens are experiencing increasing levels of stress that under certain circumstances can exacerbate physical illnesses. As a neurologist, I see this often, especially in the form of migraine. Teenagers suffering from migraine can be profoundly affected both socially and academically. Many will miss school and other activities due to the frequency and intensity of their headaches. This devastating combination may lead to profound disability precisely at the time of life when most kids should be thriving. Such youngsters can go on to suffer social isolation due to their inability to participate in regular activities with friends. The thought of classmates going to the high school football game or to the prom while the afflicted teen lies in bed unable to attend can lead to more stress, which invariably results in more headaches. Migraine is a genetic illness, and frequently one or both parents may be affected. This can create further difficulty if parents openly and continually discuss how their own migraines affected them in their youth. They may recall how their headaches impeded their schoolwork or their ability to participate in a sport. These true but negative recollections, if repeated to the child continually, can become an added source of misery for everyone involved. It is important that kids who suffer from frequent migraines (more than two per month) be treated for them. In my practice, I have found the treatment of adolescent migraine to be a particularly rewarding experience. Fortunately, through lifestyle modification and judicious use of medication, many teens can achieve relief from most of their migraines before they monopolize and change their lives.